Congratulations New Orleans Saints » I Mean…What?!? Not that I am a big football fan, though once you start watching the sport, it’s hard to tear yourself away…for more than one reason. But I watched the Super Bowl and was moved by the win by the New Orleans Saints. As these guys run around the field, bang heads, slap each others’ rear ends and scream like lunatics, it made me think, “What different lives we lead”. Anyhoo…be that as it may…I can only wish this win is the start of great things for New Orleans. 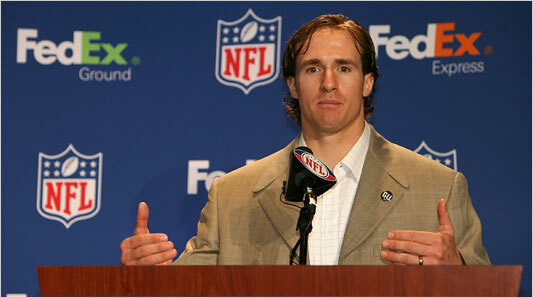 And their quarterback Drew Brees is adorable. 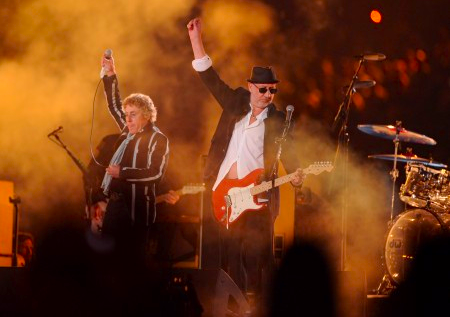 And what did you think of The Who? Their songs are sooo football, but the performance was Taylor Swift meets Grandpa.